That weekend I also met another dance teacher who was living in Germany. I asked him a bunch of questions about how he had managed to to get a self-employment visa. I went online and did some more research. I filed this all away for later use. In 2015 I started taking a hard look at my life and where I wanted to be by the time I turned 30. I was preparing to go to Australia for several months. I decided that in 2016 I would seriously start working on moving to Europe for the long-term, and Germany seemed the best option because there was actually a self-employment visa that didn’t require some high sum of entrepreneurial investment. I did lots of research in 2016 and prepared a to-do list for myself. My plan was to get a self-employment visa and work as a private English tutor and dance teacher (as I had been doing for years). Step 1. Buy a one-way ticket to Germany. Step 3. Prepare as many of the paperwork requirements as I could from a distance. I’ve cleaned it up and removed names in order to present this as a useful resource to other non-European people interested in getting a self-employment visa in Germany. It should be mentioned that I applied in Stuttgart, and the visa process can vary widely by region. Oh and spoiler alert: I wasn’t entirely successful. If you don’t care for all the details, jump down to the next set of stars for the key takeaways and conclusion. 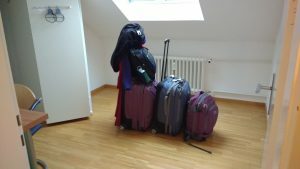 Jan 31– I arrived in Germany on tourist visa and moved into my apartment in Stuttgart. Feb 1– I double-checked the local Anmeldung rules. I completed the paperwork for registration of residence. Feb 2- I went to the Bürgerbüro and completed the registration of my residence (Anmeldung). – I researched bank account possibilities and did a little followup on health insurance. Feb 4- I did more research on visa possibilities. I spoke to a fellow dance teacher about how he got the “artist visa” in Hamburg. I found out it helped him to have contracts for future employment and references about him as a teacher. Feb 5- I did more research on the artist visa. I created an “artist portfolio” and added some materials for dance teaching experience. 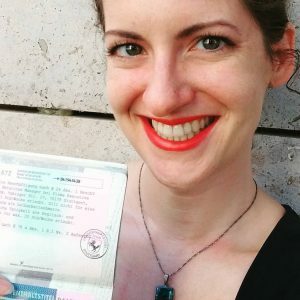 – I spoke to a dance teacher in Berlin about the freelancer visa process and found out the “artist visa” isn’t a national thing. I confirmed that it doesn’t exist in Stuttgart. – I decided I wanted a counselor like he had to help me with the process; checked for counselor online without success. Feb 6- I visited Commerzbank and Postbank without much success. I made appointments at a private insurance company and Deutsche Bank by phone. I made an appointment at Sparda Bank online. – I went to the Ausländerbehorde, they confirmed that and gave me forms for my future insurance to fill out that would state I would get the same insurance as any German person would receive. – I visited AOK who also said I wasn’t eligible. It’s frustrating that you need insurance to get a visa but need a visa to get public insurance! Hopefully I can switch from private to public later. – I got visa photos from a booth. – I sent out several requests for references and offers of employment. Feb 8 – I had my appointment with HUK COBURG. I completed an application for private health insurance as a self-employed person. Feb 9- I had appointments with Deutsche Bank and Sparda Bank. I completed an application for a personal checking account (Girokonto) with Deutsche Bank. Feb 16 – I inquired and received confirmation of Deutsche Bank account as well as IBAN. – I was rejected by HUK-COBURG. I applied instead for health insurance with expat health insurance company Care Concept. – I made an XE.com wire transfer request. Feb 24- I wrote a description of my self-employed work for the “Tätigkeitsbeschreibung” form. I sent it to a friend and corrected the German. I collected more letters from prospective blues students. Feb 26- I finished the application form. Feb 28- I called and emailed several lawyers. I accepted the first that called me since she spoke fluent English. I digitized my application documents to send to her. I printed more documents at copy shop. Mar 1– I corresponded with the lawyer by email, sending her my documentation and answering questions. Mar 3- At her suggestion I wrote a “Business Plan” explaining my income from previous three years and progression for next year. I got help from German speaker to correct it. I emailed all remaining documents to the lawyer. Mar 6- I returned to Ausländerbehorde for a fresh application form. – I visited the Welcome Center and got information about language schools and the Orientation Course. Mar 11- I filled out the application form again. I requested a three-year visa term since my lawyer said that was possible. – I confirmed Monday interview for the local company. I sent them a cover letter and CV. Mar 13- I interviewed with local company owners/managers. I was offered and accepted the opportunity to work freelance for them 15-20 hours per week once I got my visa. – I worked on changing documents including Tätigkeitsbeschreibung, Projected Income and Explanation, Cover/Motivation Letter, etc to reflect new freelance work. I created a sample text for job offer letter from local company. Mar 15- I finished updating all my documentation. I created table of contents to make things more organized. Mar 29- I emailed my lawyer to see when she could accompany me to submit my application and answer any questions. She wasn’t going to be available until the end of the first week of April. I felt that was too late since my Schengen visa would expire in April. I arranged instead to go at a time when she would be available by phone to answer questions. Mar 30- I went to the Ausländerbehorde and submitted all my papers. My assigned person checked that everything on the checklist was present. She didn’t have any questions for me. I called my lawyer and left a voicemail to say I wouldn’t need her help. April 10- My assigned person confirmed that the offer of employment was insufficient; a “Vertrag” (contract) was needed. 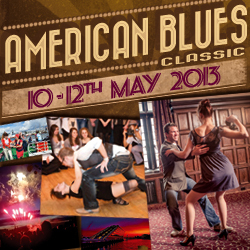 April 10-17- I pleaded with the local company to get them to create something they felt they could agree to. April 25- I still hadn’t received a response and my Schengen visa was set to expire in the next week or so (unsure of exact date because of a trip out of Schengen). I went to the Ausländerbehörde to check on my application and request the Fiktionsbescheinigung (a kind of special extension for when you’re waiting for a decision on your visa application). May 4– I sent an e-mail to my assigned person to follow up, asking if she had indeed received the requested Vertrag. I received an Auto-responder saying she would be on vacation until May 8. 1. The only way to leave and come back in is to get my visa. Impossible with Fiktionsbescheinigng. 3. What they really want to see is contracts with businesses or schools. All my private clients (whether for English or dance) basically count for nothing. – I tried calling the lawyer, but her secretary said it was a day off. – The lawyer called me after hours. I thanked her and said I would send her an e-mail detailing the interaction after I finished work. I did so, giving an update on all my activity since we last spoke. I can’t see anything for her to do for now. – I messaged a dance teacher I know to ask if his dance school might make a contract with me. He promised to speak with the owner. – I visited a friend to ask if his software business could hire me for something with a proper contract. He said yes, we brainstormed some ideas. May 10- I spoke to the owner of the dance school after my dance teacher acquaintance put me intouch.. He said he would hire me for a year to teach on Saturdays in a nearby town. He agreed to meet me the next Tuesday to settle details. May 11- I updated my dance friends about the new focus on contracts and brainstormed some more ideas. 3. I can’t work for the local company as a freelancer because I will do business in their name. -I wrote to the lawyer asking for help dealing with this. At first she said she wasn’t free till Tuesday the following week, but then agreed to a phone call on Saturday to discuss. May 13- I spoke to the lawyer on the phone for one hour. She said the Ausländerbehorde wasn’t being very logical and that there was absolutely a case to argue. She said it would be best for her to take over correspondence with them. She said I would need to pay her more but she wasn’t sure how much, it would depend on the amount of back-and-forth, but up to 1000 euros total (counting what I already paid). I didn’t see how I could argue the Ausländerbehorde without her so I agreed. May 16- I received a form from the lawyer that would request her to respond to the Ausländerbehorde on my behalf. I visited her in her office to sign it. She also explained that my best strategy if I want to remain self-employed will be to register a business so that business can sell services to th elocal company. She said I will need an accountant to help figure out the best way to set up this business. She also said it should happen in parallel with my visa application. She printed out some papers about the Gerwerbanmeldung (business registration). – I met with the dance school owner. I did a 3-hour training for his instruction method. I told him the contract wasn’t ready yet, since I was still figuring things out with my lawyer. – The lawyer e-mailed me what she had sent to the Ausländerbehorde. She basically said that I did want to teach English in Germany, that I don’t need to support myself only in dance, and that I will register my own business to work for the local company under a self-employed contract. May 18- I updated my friends in Stuttgart on the latest hurdle. A good friend offered to help and requested to see everything I had submitted so far. May 29- I went to the Gewerbeamt with my German friend and was told that based on my activities I should make a Schreibbüro (Writing Service). – We went to the Ausländerbehorde and my German friend confirmed that with my assigned person’s boss. It seems from their discussion I might not be able to teach dancing at first if I’m granted my visa this way, but I can apply for that to be added to my visa later. – We spent 2.5 hours writing a business plan for a Schreibbüro. – I talked to the local company about this new plan. Downsides: can’t do some of the activities they had hoped I would do for them freelance (since they would be outside the definition of a Schreibbüro), but this still appeals more to them than hiring me as part-time employee. May 30 – I met with my German friend to finish writing the business plan. When trying to compare types of businesses, we at first decided sole proprietor makes most sense. Then when worked into 19% VAT (Umsatzteuer), the taxes seemed to be adding up to a lot without much benefit of the social system. – We called the Ausländerbehorde again with more questions – what minimum income required for single work, what if my job changes, taxes, etc. – I spoke to the local company on the phone about their hiring me as an employee. They had several reservations, including health insurance, vacation, etc. But they didn’t say no. They agreed I could arrange a meeting with all owners and managers to discuss. May 31- I scheduled a meeting with the local company. – I researched all taxes and public contributions. I prepared a pitch with spreadsheets covering different scenarios. June 1– I made my pitch to the local company. Success! I convinced them to pay me roughly what they would have paid per month for me as a freelancer, and I would just lose the cost of all public contributions (GKV and so on) and vacation. – The local company sent me a new Vorvertrag for 20 hours per week and a fixed Gehalt (salary). – I sent it to my German friend to look at and share with their lawyer friend. – I spoke an American couple in Stuttgart about the process of getting hired as an American. We discussed providing proof the company needs me, not a European. We brainstormed reasons related to my job. June 2- I found the relevant Arbeitsamt (Employment Office) forms for the local company. I wrote a description of tasks with a focus on unique suitability of an American to do the job. – My German friend called the Ausländerbehorde and spoke to someone who was not my assigned person. He wanted to check the details from my contract. He was told I would need to make a tiny bit more money in order to reach the Existenzminimum (minimum income requirement) starting July 1. – I asked the local company for a raise to meet the minimum. They agreed to raise the amount by increasing my work hours to 21 per week, then sent me Vorvertrag version 2. June 3 – My German friend said their lawyer friend thought the contract was good but advised a clause about payment for overtime. – I informed the local company. They agreed and sent me Vorvertrag version 3. June 6 – I asked my German friend to call the Ausländerbehorde to tell them I don’t work with my lawyer anymore, clarify my main work will be half-time employment with the local company, check that a Vorvertrag is enough, and figure out what forms are necessary. – The local company filled out the Stellensbeschreibung and Zusatz_Stellensbeschreibung for the Arbeitsamt. I thought they should file it at Arbeitsamt, but they said I should file it. – I checked with my German friend and he said I only need to send it to the Ausländerbehorde not the Arbeitsamt. I had him and another friend check my writing. – I e-mailed the latest Vorvertrag and both Arbeitsamt forms to my assigned person at the Ausländerbehorde. 2. We need to go to Finanzamt to declare my self-employed income (subject to tax) for English and dance teaching. Maybe I will be granted a work permit for everything after all? 3. Next I will make appointment with her for my Arbeitslaubnis (work permit). June 21 – We went to the Finanzamt and applied for Steuernummer. I only need one for dancing and English teaching together. -I found out I should have gotten an Identifikationsnummer in the mail after I did my Anmeldung (which I never did). Fortunately my German friend convinced them to look it up in their system. -I went to the Ausländerbehorde and dropped off a copy of the Steuernummer application. I requested my assigned person (who wasn’t in the office) contact me to make the appointment for my work permit. June 22- I received an e-mail from my assigned person at the Ausländerbehorde giving me an appointment for July 24. – I forwarded it to my German friend to ask if this meant I would definitely receive my visa that day. It was also the very last day my Fiktionsbescheinigung would be valid, meaning if I didn’t get my visa I would have to leave Germany immediately. – He explained it was certain, and the date was set so far forward most likely because they were waiting for my Steuernummer to be assigned. June 23- I decided to stop by the Ausländerbehorde and just try my luck at getting the visa sooner. Amazingly, my assigned person told me I could come back on Monday morning to receive it! June 26– I went to the Ausländerbehorde and was given my Aufenthaltserlaubnis (residence permit). At last! – I was very pleased that I would be allowed to both work for the local company and do my self-employed dance and English teaching. 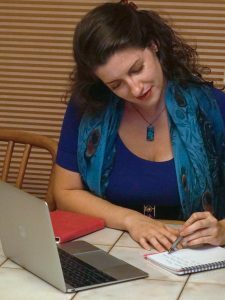 – I was surprised by how specific it was: 21 hours per week with the local company, and no more than 20 hours per week of self-employed work teaching dance or English. – Immigration lawyers are a waste of money. I paid hundreds of Euro for work that ultimately seemed very uninformed of the reality of the visa rules. Get an outgoing German friend to help you. – Care Concept or similar expatriate insurance is the best option for when you first arrive. You can keep it for up to 5 years, plus you can cancel without penalty if you end up qualifying for GKV. – If you want to be self-employed in Germany, you need to have a single kind of self-employment work that will earn you more than the Existenzminimum. – Self-employment work needs to include contracts with at least two companies, organizations, or schools, not just individuals. – If you decide to go for an employment visa instead, you’ll need to get your company to submit a job description to the Arbeitsamt so they can check if a suitable European can take the job. Try to write the job description so it would be difficult for anyone else to do the job. – It is possible to have both employment and self-employment all in one visa and to have more than one kind of work activity. You just need one of them to give you your Existenzminimum. 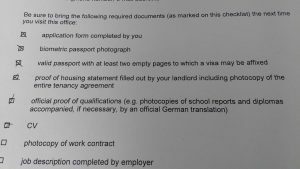 – Work permit descriptions are very specific. Be sure you ask that everything you will want to do is included. – It’s very unlikely that you will be an exception to the visa term rule of 1 year, 2 years, 2 years. 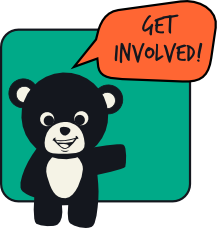 – Your 5-year clock toward eligibility for permanent residency will be reset if you become a student at any point. It may also reset if you move to another Bundesland. – Renewing your self-employed visa isn’t necessarily easier than getting the first one. You have to provide proof of your income and your business’s growth as well as an updated plan for its future. Fortunately I have six or seven more months before I need to worry about renewing my visa! Let’s hope that follow-up post will be short and sweet.